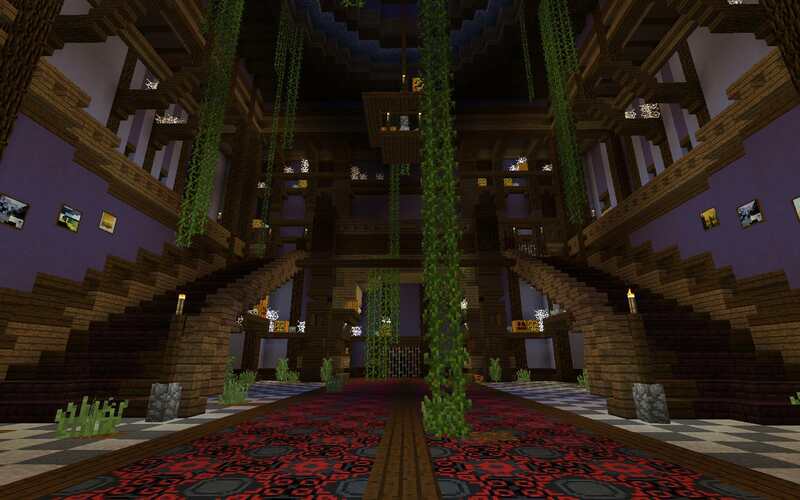 Minehut's lobby is now a haunted mansion! The map was built by the great Cyclone Designs. The map was built for Super League's Zombies minigame, so it has 4 rooms that can be unlocked. Each week, we'll be unlocking a new room of the map on Minehut. When a room is unlocked, there will be an easter egg placed in the new room and the first to find it will get 2000 credits! Right now, only room 1 is open. Oct 21 - Super League Zombies event! The rooms will be opened during the Good Grief stream on Fridays. 📺 Watch Good Grief, Fridays at 2pm pacific. Looks amazing, can't wait to see this in use! And Gratz to whoever finds the rooms first and gets the credits!